In addition to having a spicy-hot flavor, hot peppers may also cause a short-term rise in body temperature accompanied by sweating. Many people complain of stomach irritation and heartburn after eating hot peppers as well, so you may wonder what kind of damage hot peppers do to your digestive system. It may come as a surprise that hot peppers, rather than harming, may actually play a beneficial role in helping to protect the stomach. Hot peppers sometimes contribute to acid reflux and general stomach discomfort, which is called dyspepsia. Although that can be unpleasant, hot peppers don't seem to cause any real damage. 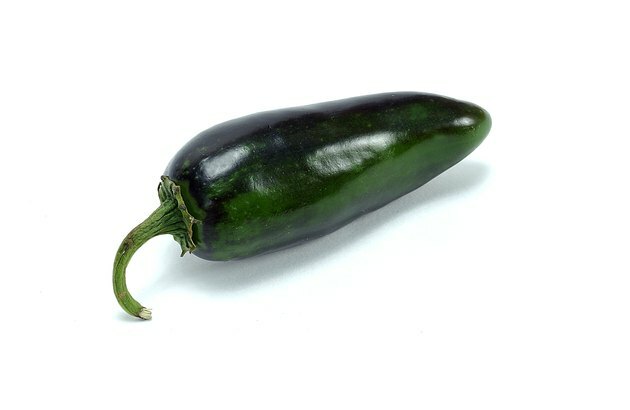 In a study published in the December 1988 issue of the "Journal of the American Medical Association," test subjects consumed a meal containing 30 grams of jalpeño peppers. By means of endoscopy, researchers were unable to detect any damage to the stomach lining. Inflammation of the stomach lining is called gastritis. The human stomach contains a network of small blood vessels that are instrumental in protecting the stomach and repairing any damage to it. The body regulates those activities by dilating the stomach's blood vessels. When acid or some other irritant seeps past the stomach lining, it stimulates nerves that release vasodilators, which are chemicals that cause the blood vessels to dilate. Once dilated, the vessels are able to deliver a greater volume of bicarbonate to neutralize excess acid. The dilated vessels also remove toxins and supply other important chemical compounds to repair any damage. A report published in the May 1997 issue of the "Journal of Physiology -- Paris" found that capsaicin, the active ingredient in hot peppers, also dilates the stomach's blood vessels, helping to protect and repair the stomach lining. Just as hot peppers may help to protect against and repair gastritis, a study published in the 2006 issue of "Current Pharmaceutical Design" reports that capsaicin seems to provide the same benefit for ulcers. By stimulating the release of vasodilators, hot peppers may help with the repair process. The leading cause of stomach ulcers is a bacteria called Helicobacter pylori, which can be passed from person to person or contracted from contaminated water or food. Unlike most bacteria, H. pylori can thrive in stomach acid. Although hot peppers may be able to help repair ulcers, the Langone Medical Center states that capsaicin is unable to kill H. pylori as some have claimed. Food supplements are no substitute for proper medical treatment. Besides the discomfort that hot peppers may cause, the University of Maryland Medical Center reports that consuming excessive amounts may cause liver or kidney damage. Capsaicin has blood thinning properties, so don't use it together with other herbs, supplements or medications that thin the blood. Consult with your physician if you are pregnant or taking any medications, especially ACE inhibitors or theophylline. Can Spicy Food Burn Your Stomach & Intestines?